Now available in paperback, the Encyclopedia of International Sports Studies is the most authoritative and comprehensive single-volume reference work ever published on sport. With over one million words of text arranged into more than 1000 entries and articles, it covers the full range of sub-disciplines within sports studies; including scientific, social scientific and medical approaches. short overviews of other important terms and concepts, from metabolism and motivation to muscle tension-length relationship. 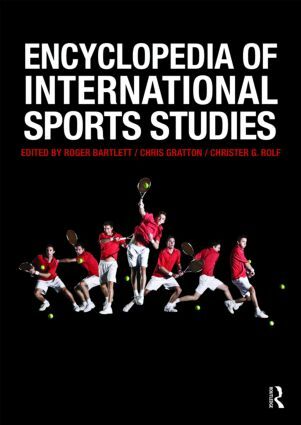 With over 150 contributing authors from the US, UK, Canada, Australia, South Africa, Japan, New Zealand, Hong Kong and continental Europe, the Encyclopedia of International Sports Studies is an unparalleled work of sports scholarship. Accessibly written, facts-fronted and including full cross-referencing and guides to further reading throughout, this is an essential addition to the bookshelf of any student, researcher, teacher or professional working in sport.